This restaurant building is centrally located in "Downtown Avon" and is approximately 3,080 square feet. 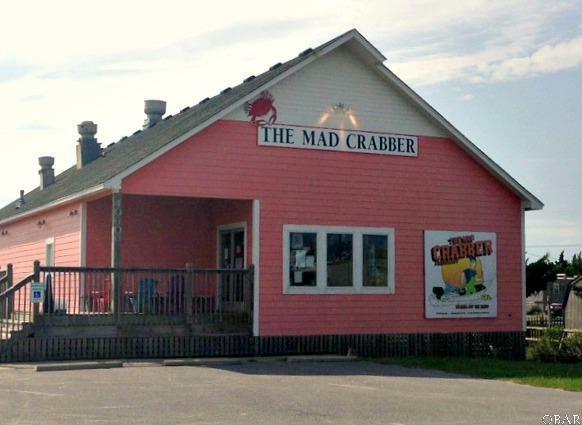 Established long term NN tenant "The Mad Crabber" has been in business over 20 years!! Not only do they have a loyal local following, but they are also a favorite haunt for the many tourists that visit Hatteras Island. TRUE 9% CAP RATE creating an excellent investment for the discerning buyer. This building is well maintained and offers an open and spacious interior floor plan. It is situated on a large 36,000/sf lot with good road visibility.